Several people were killed and dozens were taken to hospitals after a powerful explosion rocked the Afghan capital near the German and Iranian embassies, according to Kabul police, doctors and local journalists. The blast struck at around 8:30 am local time Wednesday. 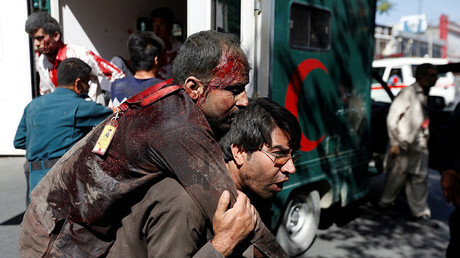 Pajhwok Afghan News reports that “dozens” of people were killed in the blast and more than 100 injured. Earlier, the agency cited the Health Ministry as saying that at least 60 people were hospitalized. Most victims are thought to be civilians, including employees of a local mobile phone company, Roshan, according to TOLO News. 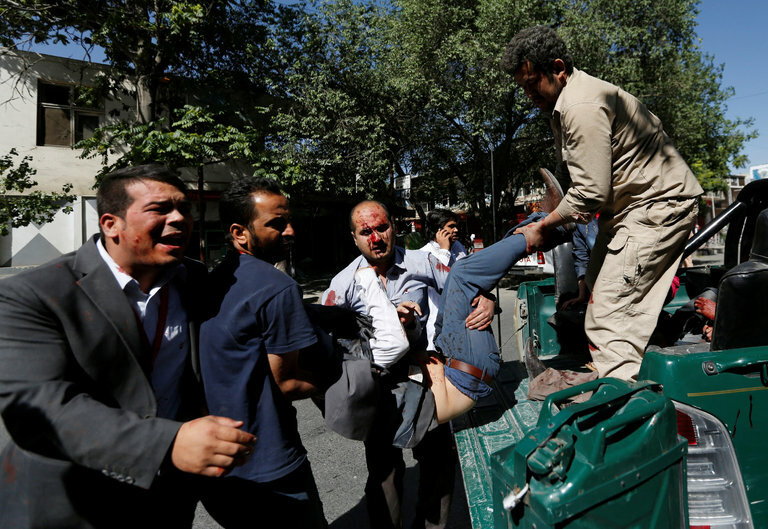 Basir Mujahid, a spokesman for Kabul police, said the explosion was caused by a car bomb. "It was a car bomb near the German embassy, but there are several other important compounds and offices near there too. It is hard to say what the exact target is," Mujahid said, as cited by Reuters. Eyewitnesses on social media said the blast was so strong it shattered all windows in nearby buildings. Some doors were also torn off their hinges, Reuters reported. Photos posted on Twitter showed a thick pillar of smoke rising from the site of the explosion. The Indian Embassy reported damage to its facilities but no casualties. Several journalists tweeted that their offices were damaged in the blast, including Jessica Donati, who writes for the Wall Street Journal, and the BBC’s Kabul bureau manager, Karim Haidari, who said the BBC staff were affected in the blast.